I am a cultural historian of modern Korean society whose research and teaching interests include narratives, memory, media, social relations, and Cold War/post-Cold War culture. 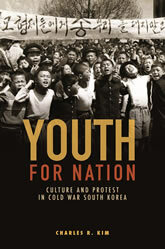 My first book, Youth for Nation: Culture and Protest in Cold War South Korea, documents the country’s transition from Korean War combat to the authoritarian developmental era. 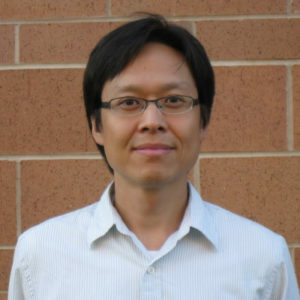 The study explores the ways in which media and statist texts prefigured the April 19th Students’ Revolution of 1960 and informed Park Chung Hee’s ideological program of the early 1960s. My current research examines South Korean nostalgia for the developmental past as represented in museums, television, and film. With Jungwon Kim. “Introduction.” In Beyond Death: The Politics of Suicide and Martyrdom in Korea, edited by Charles R. Kim, Jungwon Kim, Hwasook Nam, and Serk-Bae Suh. Seattle: University of Washington Press, 2019. “Moral Imperatives: South Korean Studenthood and April 19th.” The Journal of Asian Studies 71, no. 2 (May 2012): 399-422. “The April 19th Generation and the Start of Postcolonial History in South Korea.” The Review of Korean Studies 12, no. 3 (September 2009): 71-99.